Do you love growing plants in your garden? If you are, you would definitely consider purchasing a greenhouse. You can grow the plants that you like and be at peace with the accessories that you want to add. With this, polycarbonate greenhouse might be a good choice, right? We’ll learn more about this greenhouse through the rest of this post. Keep reading fellas! Typically, polycarbonate is a transparent amorphous thermoplastic. This is commercially created and become available in varied colors. It could be translucent or not. Polycarbonate allows internal light transmission just like glass. You can observe this material in medical devices, plastic eyewear lenses, protective gear, digital disk, (DVDs, CDs) and greenhouses. It’s ideal for constructing greenhouses because it’s terrific in resisting heat. Moreover, it could be combined with materials that are flame retardant. Polycarbonate is one of the most durable and most durable greenhouse coverings. You would expect a rigid and almost transparent plastic (like those of glass) in this type of greenhouse material. The polycarbonate greenhouse panels, on the other hand, are one best material to use in your project. This contains higher elements of materials that are recyclable. It has fine layers that could adequately protect your plants from dangerous rays. In terms of greenhouse covering, glass type is the most typical options of many. 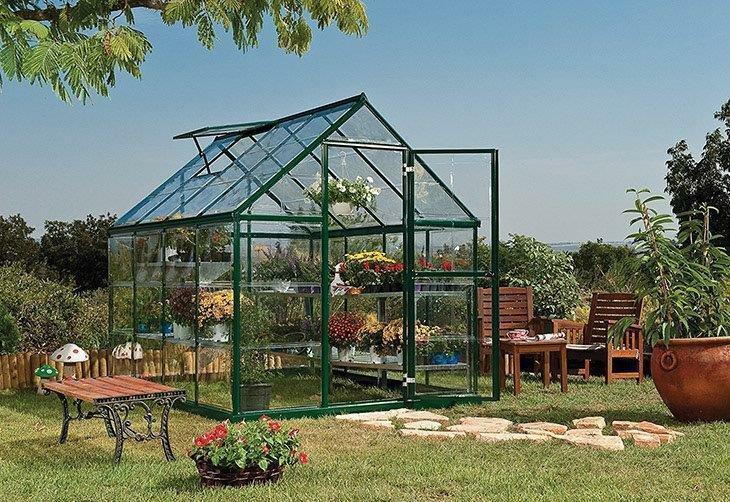 But recently, the polycarbonate greenhouse become popular due to its vast uses or advantages. Below are the benefits of using polycarbonate greenhouse. Yes, you heard it right. You can’t just save money or electricity. You can also save your time. Since the polycarbonate cover is high performing, then the overall performance of the greenhouse is also enhanced optimally. This means that the growing season will be extended and that your plants will receive the best treatment from your greenhouse. This will lead you to an abundant harvest of fruits and vegetables. This polycarbonate property could be one of its most promising characteristics. 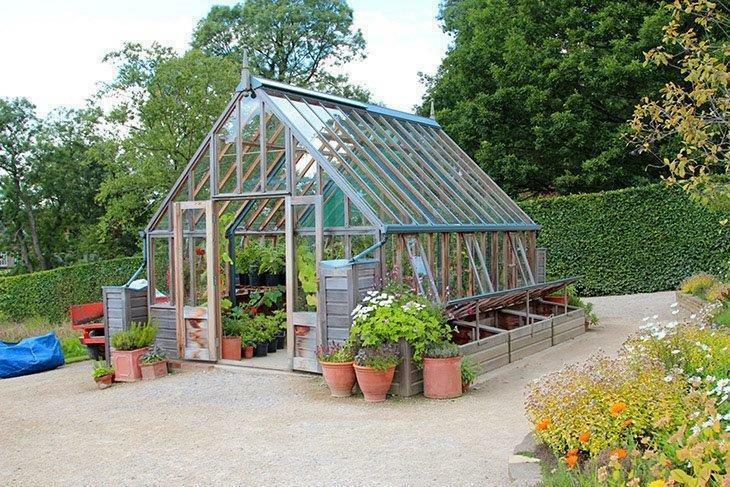 Compared to a glass greenhouse, this type of greenhouse can retain heat better and can also have less heat loss. In other words, this is a more capable greenhouse. It’s more responsible for keeping the plants warmer. Furthermore, in the longer run, it’s more cost-effective. For durable greenhouses and polycarbonate greenhouse kit, you can lean on Halls Greenhouses. The light of the sun is very much needed by each plants growing in it. That’s why the more light and heat scattered within the greenhouse, the better. With the thickness that this polycarbonate has, the light in your greenhouse will thoroughly and evenly spread. This is such as an important key to growing healthy and productive plants. More than that, polycarbonate is such a good natural filter of ultraviolet rays. This just means that your beloved plants will be safely protected from the dangerous exposure to radiation. Explore more:Top 5 Advice on purchasing which best led grow light is good, durable and the lowest price today? Nothing is better than a material or greenhouse component that could last and could serve longer than you expected. The material that this polycarbonate has is stronger compared to glass. Other than that, you would have an easy time carrying it because it’s surprisingly lighter. Reading and doing polycarbonate greenhouse assembly instructions will be very easy. In fact, you can install it real quick and you can do it yourself. Typically, it would take about a day to assemble this greenhouse. On the other hand, if it’s glass greenhouse, it would surely take time and effort. You will also need professional assistance to install or assemble it. Polycarbonate greenhouse cover can be very affordable. So having it is cost and effort-wise. If you plan to purchase a greenhouse, you should be prepared with several factors that may affect the success of having or building it. One important thing to consider is the location, the maintenance issues, and the amount of sunlight that may pass through it and many more. For most owners that are fond of having a greenhouse, having a larger space is better and more essential because an unplanned upgrade will be more costly. Another thing to pay attention to is the greenhouse’s height. The taller the greenhouse, the better ventilation and heat. If you are a professional grower, larger as well as strong structure is frequently advisable in preparation for growing season or massive plant demand. Consider the size of the polycarbonate greenhouse. 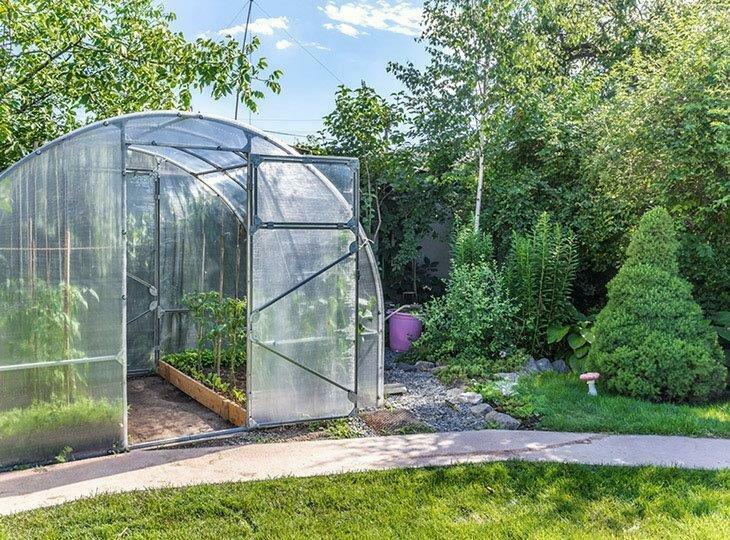 Take note of the size of a greenhouse that you need. This typically determines how much cost or space you will need. If you have larger space in your house and also has allotted enough budget for it, then you can go for larger polycarbonate greenhouse. 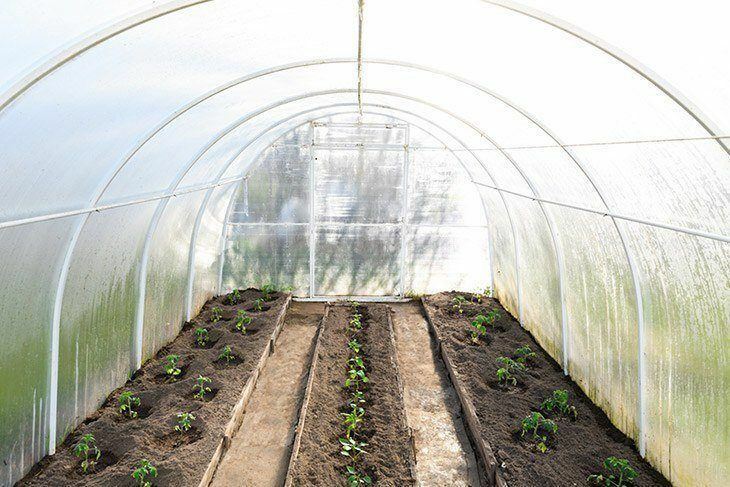 With these benefits, would you still doubt purchasing the best polycarbonate greenhouse? Polycarbonate greenhouses – from wooden greenhouses to aluminum greenhouses – continuously overtake glass as the most popular material utilized for covering greenhouses. The reasons why they are considered as must-have garden items are because of their quality construction, better insulation, resistance to shattering, UV protection, better diffusion of light, and a wide range of sizes and shapes. See our polycarbonate greenhouse reviews below and decide as you think fit! 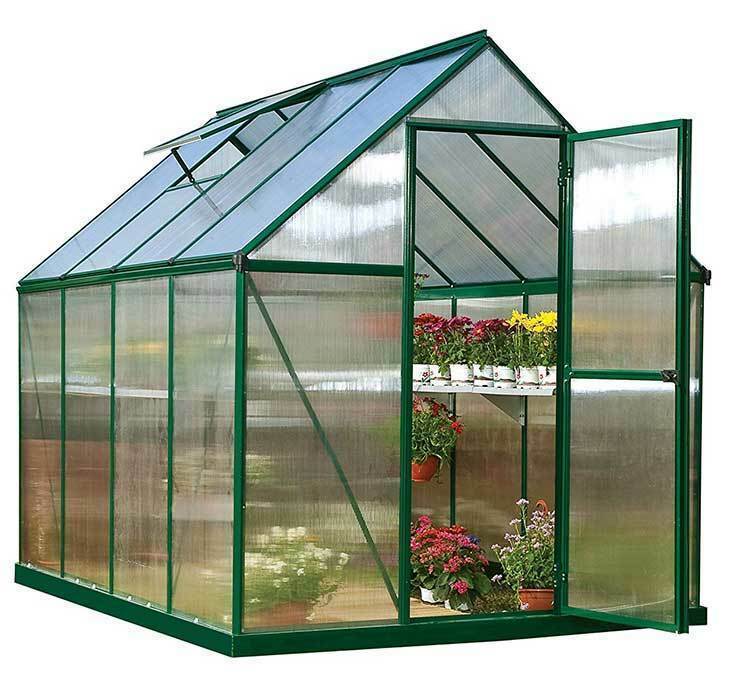 This Hobby Greenhouse from Palram Nature Series sure comes cheap for its durability and features. It has mixed reviews with mostly positive ones. Moreover, led grow lights says they can work a bit on their installation manual. Improve your front yard’s aesthetics with the Mythos Silverline greenhouse. Embedded, you find rust-resistant and sturdy polycarbonate Mythos panels. With that, you get rain gutters, UV protection, magnetic entrance handle, roof vent, durability, and a warranty too. The only catch is that the installation is done properly! 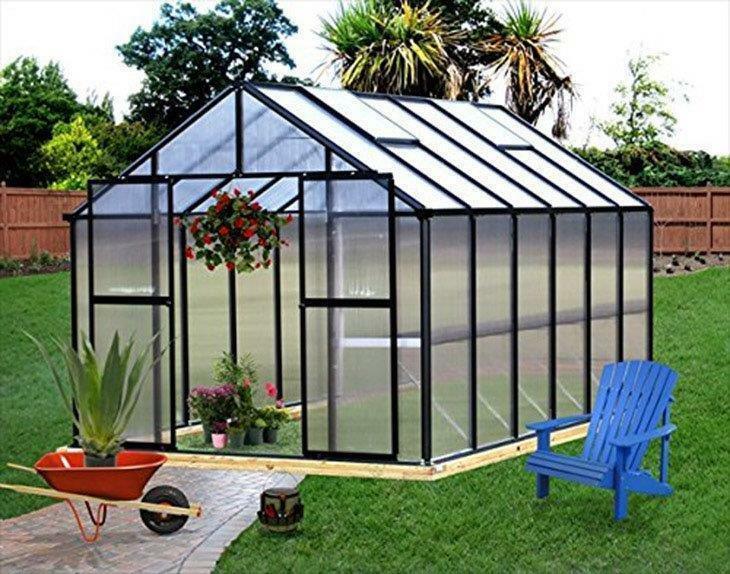 If planting is your hobby and you do it in your free time for recreational purposes, then this is the greenhouse for you. Furthermore, it’s cheap and sturdy if well anchored. The installation is a bit hard however there are many user-made tutorials on the internet now to help you through them. 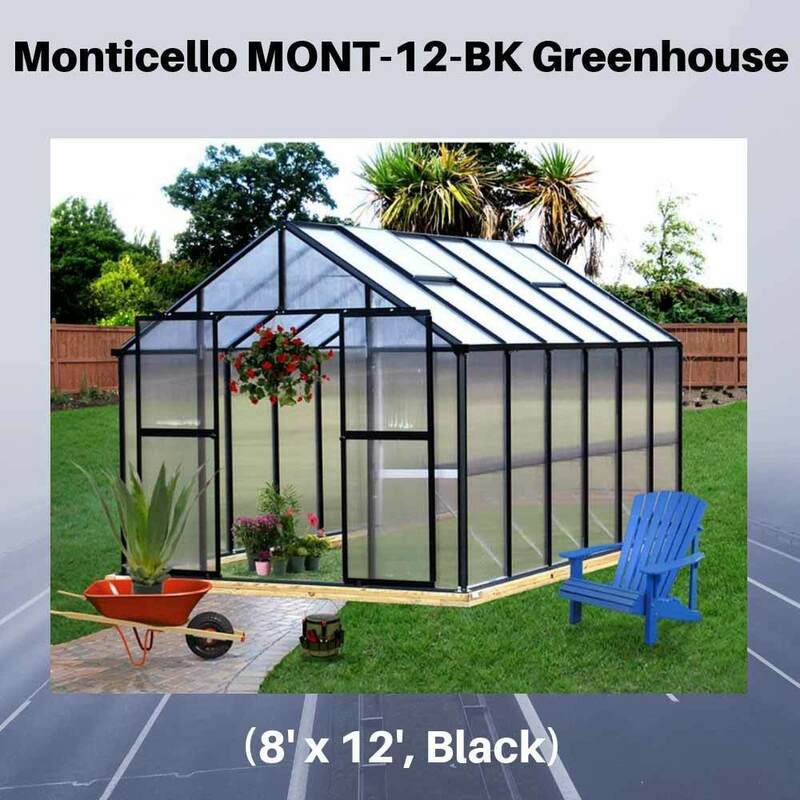 This black-colored Monticello greenhouse is a masterpiece from Riverstone industries. The walls are made of professional grade polycarbonate for durability and protect the greenhouse against UV rays and impacts. 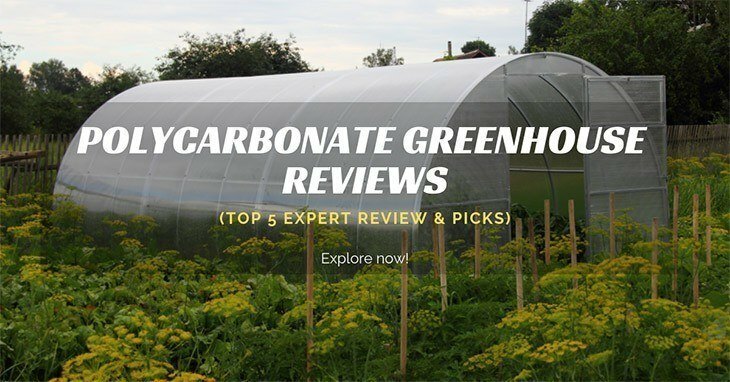 Nevertheless, the reviews for this greenhouse are filled with nothing but absolute appreciation for Riverstone, for their amazing features, durable manufacturing, and user-friendly characteristics. Moreover, we assure you that is not going to be the case with this incredible yet expensive greenhouse. 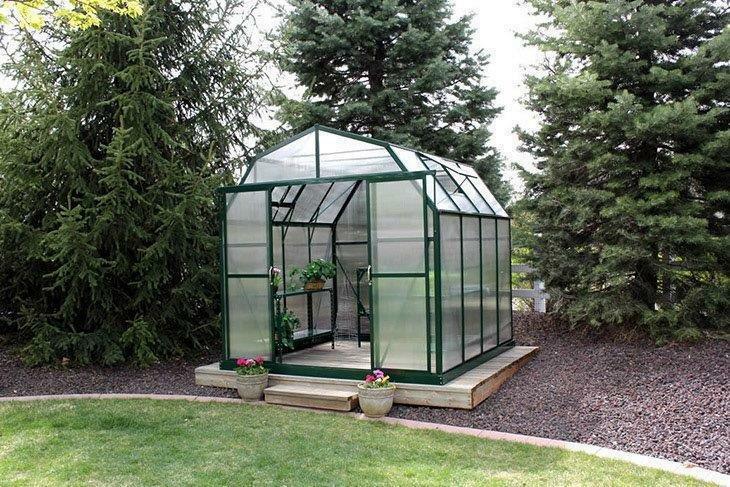 The Palram Greenhouse is manufactured with a forest green sturdy & durable aluminum powder-coated frame. Moreover, the panels are made from robust polycarbonate. It’s almost transparent to allow solar energy to reach the plants through the light while blocking the harmful UV radiations. For stable ambient conditions inside the greenhouse, the panels have insulation against heat and abrupt temperature fluctuations. 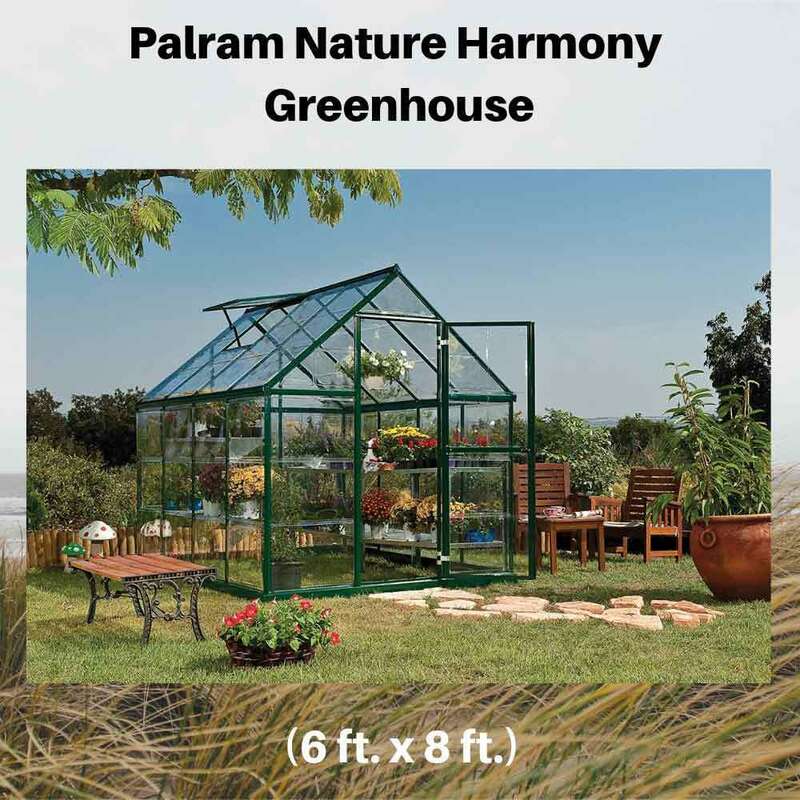 With such desirable features and positive reviews, the Palram Nature Harmony Greenhouse also caters to the enthusiastic budget locked gardeners as it comes at a quite cheap price. Additionally, Palram also features a lot of premium level accessories which can be bought for a reasonable price. 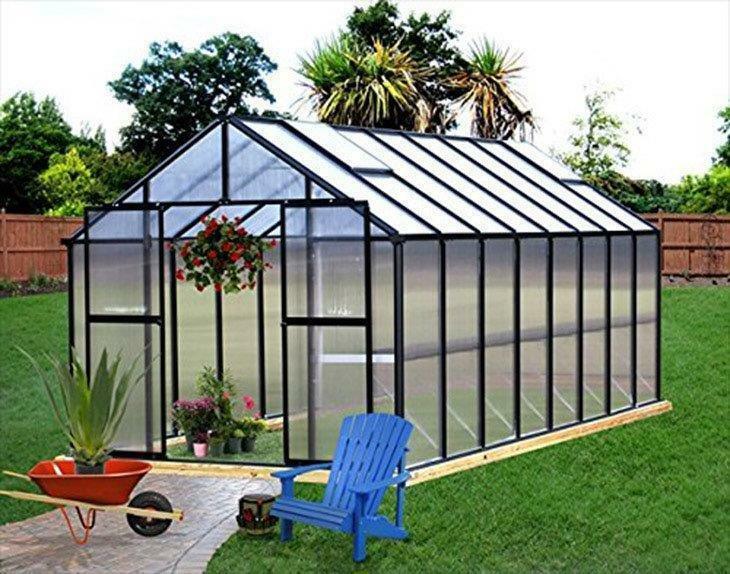 This might make this greenhouse a complete package for you! 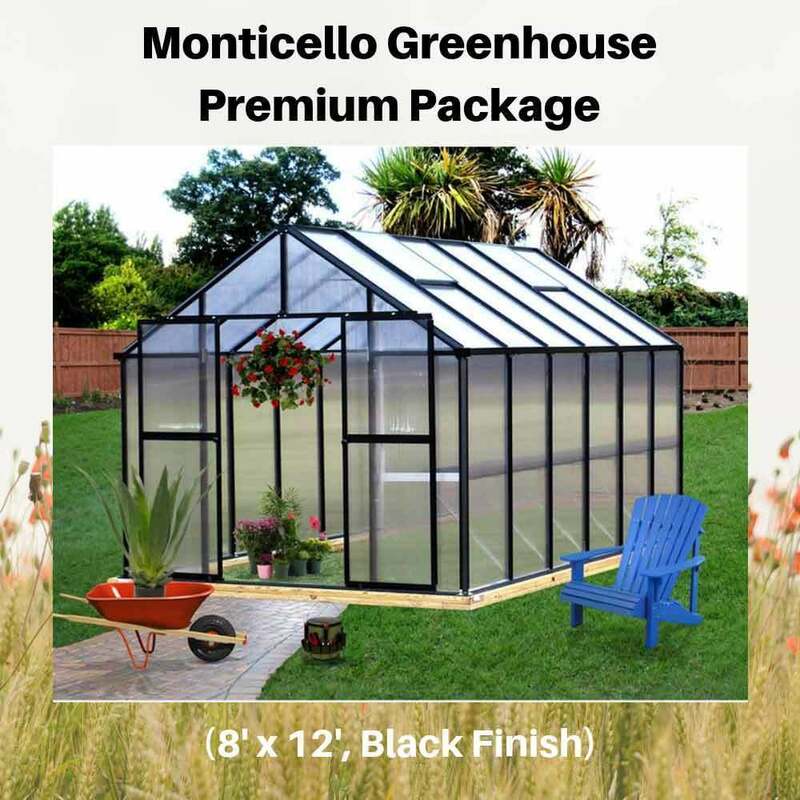 The Monticello MONT-12-BK Greenhouse with the Premium Package is undoubtedly one of the best kits out there regarding premium features, durability, and design. On top of the base features provided through MONT-12-BK, you get some additional premium features to make your life easier. Overall, you get a much more automated greenhouse with higher efficiency and better control. Honestly, the only thing that should stop you is the cost. These Monticello greenhouses increase efficiency, nourish plants timely and protect them against withering. Furthermore, Riverstone industries’ integrated workbench system increases the ergonomic appeal while the interior shade system regulates internal temperatures effectively. If cost isn’t an issue, we recommend this as it’s the best on our list in terms of features and durability. 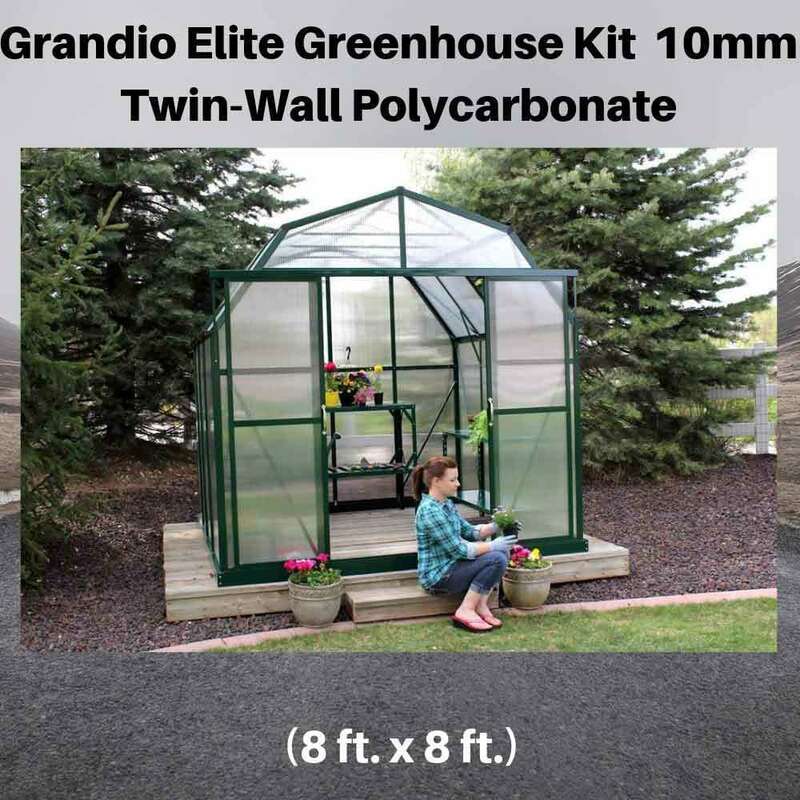 Grandio Elite Greenhouse kit has a barn style roof that allows extra headroom, 8 ft. If you’re a gardening hobbyist with a medium budget and have greater plans for ultimate gardening then Grandio Elite should be your go-to. In addition to that, it has a thicker (10mm) twin-wall polycarbonate enclosure which can withstand four times more impact than the fiberglass panels. There’s still more! This greenhouse is equipped with special snow load kit. Add to them the downspout system, rain gutters and a truss brace on the roof, this greenhouse is the ultimate solution for any weather! Something like this would give you the best bang for the buck! Moreover, this would be a perfect choice if you can spend some good amount of time in installation and can afford it. 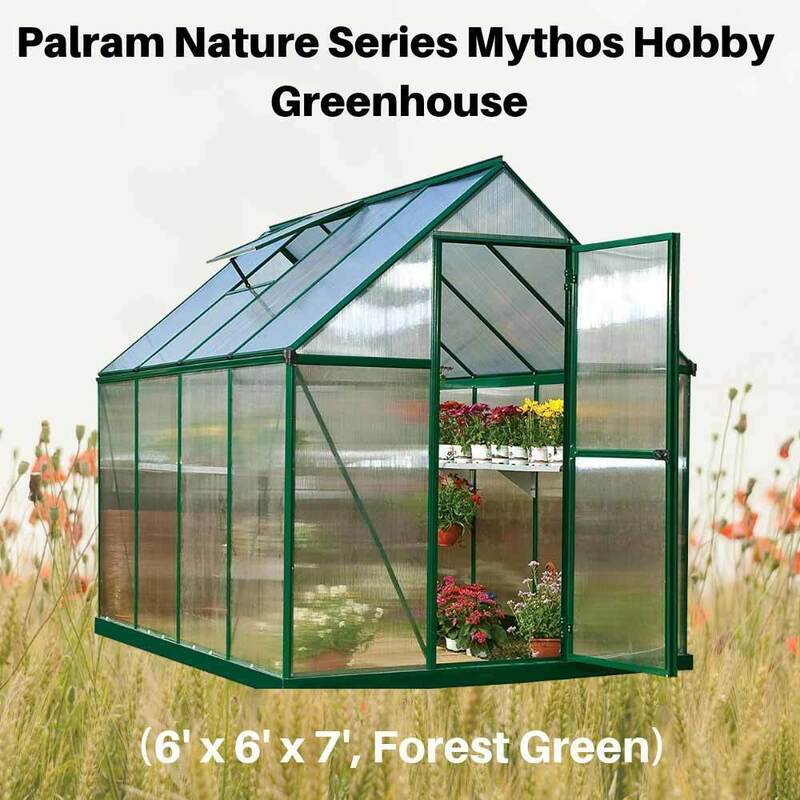 All of these polycarbonate greenhouses are an excellent addition to any garden, but for me, Palram Nature Series Mythos Hobby Greenhouse stands out the most. It can be the best investment you could make especially in terms of fresh produce, health and value for your money. Materials used are high quality and durable. ​This greenhouse is also expandable. asteriskIt also comes with hinged lockable double doors. asteriskAnd this product could even withstand wind and heavy snow. For these reasons, no doubt that this greenhouse stands out from the rest. Whether it’s a glass or polycarbonate greenhouse, what’s more important is its suitability to your needs. What type of greenhouse suits you best? The benefits of having a polycarbonate greenhouse are stated above and you surely know the difference. Buying greenhouse is a great investment to make. With that, you must be very sensitive when it comes to quality, maintenance, and its overall function. Did you like our reviews? Do you have other polycarbonate greenhouses you can recommend most? Share and like this post and leave your comments below! We will be happy to entertain your thoughts! Happy reading everyone!